Let's get to ranking these banana slamma's! 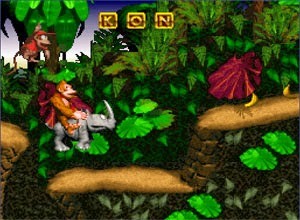 The original Donkey Kong Country was a massive success for Rareware and Nintendo. It brought Nintendo's main monkey out of retirement and gave him a starring role, this time as the hero. While the game is quite dated now, it was heralded for its beautiful rendered art style and glorious ambient and atmospheric soundtrack. 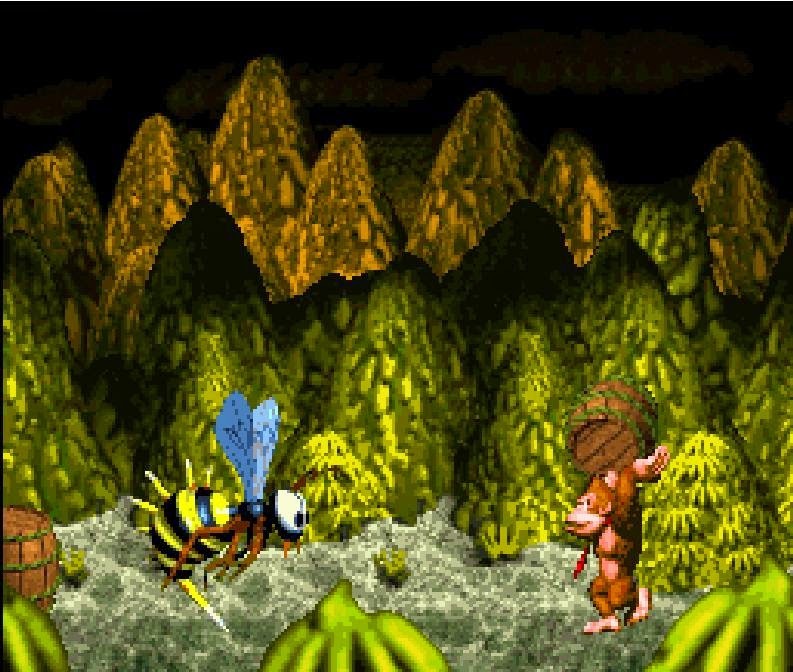 The original Donkey Kong Country is still a pleasure to play today, but I find it the weakest of the main games because of a lack of extras in the form of a final Lost World area or the ability to collect DK Coins. The game also has one of my least favorite difficulty jumps in the series, a little level known as Snow Barrel Blast. Still, there is no denying that Donkey Kong Country still has got the gorilla goods. 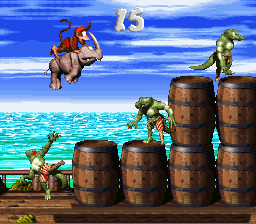 Donkey Kong Country 3: Dixie Kong's Double Trouble has a weak partner character in the form of Kiddy Kong, and its animal transformations aren't the series' greatest either (I'm looking at you, Ellie the Elephant). However, for the greatest amount of level variety, there's no better game than Donkey Kong Country 3. From climbing the innards of trees while being chased be a giant saw to avoiding intermittent lightning strikes, each level imposes a new gameplay mechanic to keep players on their toes. 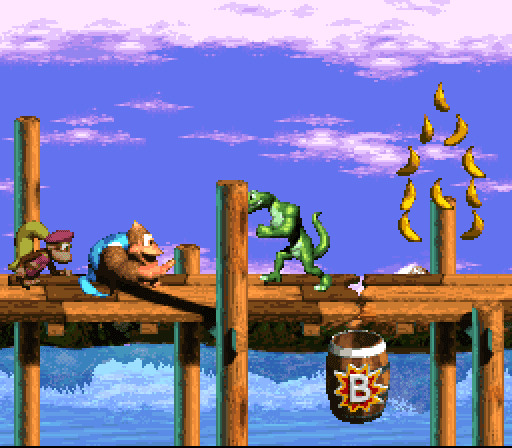 The implementation of DK Coins allows for a puzzle element in figuring out how to defeat the collectible-carrying Koin by correctly tossing a barrel so it hits him in the back. Also, the overworld is the most open, allowing for the discovery of some awesome secrets. Add in a Lost World final series of levels, and you have a game that is a severely underrated one, being released when so many Nintendo fans were moving on up to the Nintendo 64. 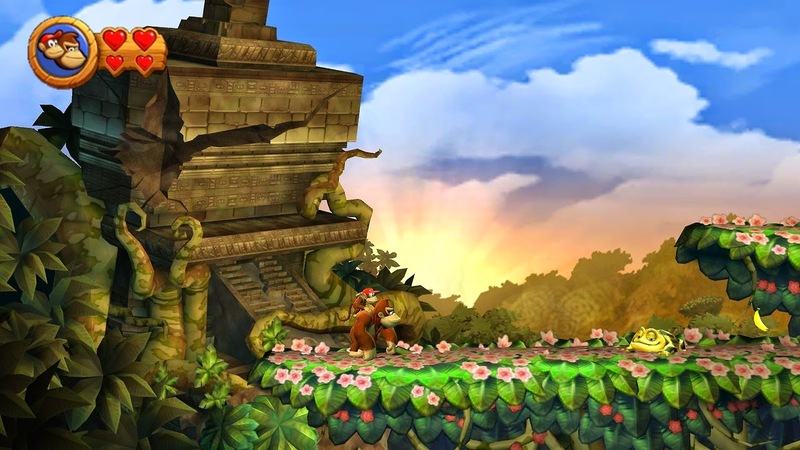 The folks behind the Metroid Prime trilogy, Retro Studios, could have easily emulated 100% Rareware's style with its Donkey Kong Country Returns. 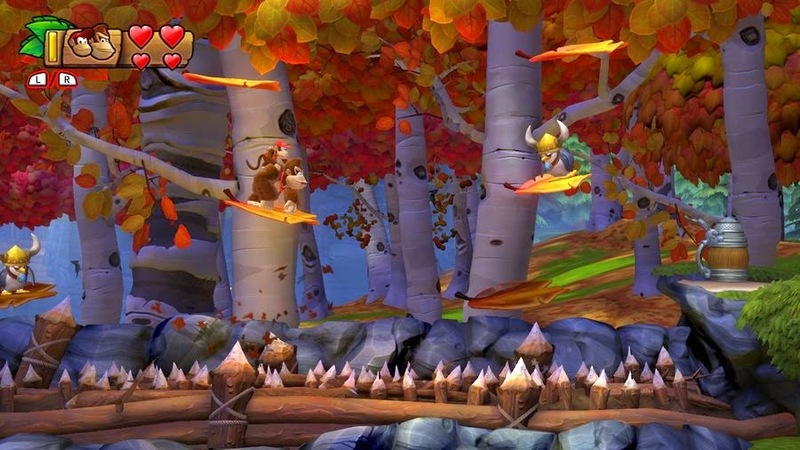 Instead, the studio gave the series its own flavor, offering a more starring role to Donkey Kong in the gameplay rather than the levels. When mastered, rolling and otherwise controlling the great ape feels fantastic. The level design lends itself well to Donkey Kong's movements, and the actual levels have a magnificent construction and rhythm to them that makes for amazing speedrun capabilities. The game is so good that the lack of any animal buddy outside of Rambi, the lesser bonus rooms, serviceable but not great soundtrack, and the Wii's waggle to roll and blow controls don't overly detract from the game all that much It's still superior to two of the original SNES trilogy's games. The Nintendo 3DS version lowers the frame-rate, but adds better controls, eight new levels, and sensational stereoscopic 3D, making it the definitive version in this blogger's book. The thing missing most from Retro Studios' Donkey Kong Country games are a sense of atmosphere. Donkey Kong Country 2: Diddy's Kong Quest nails this, even giving games released nowadays a lesson in creating amazing ambiance. 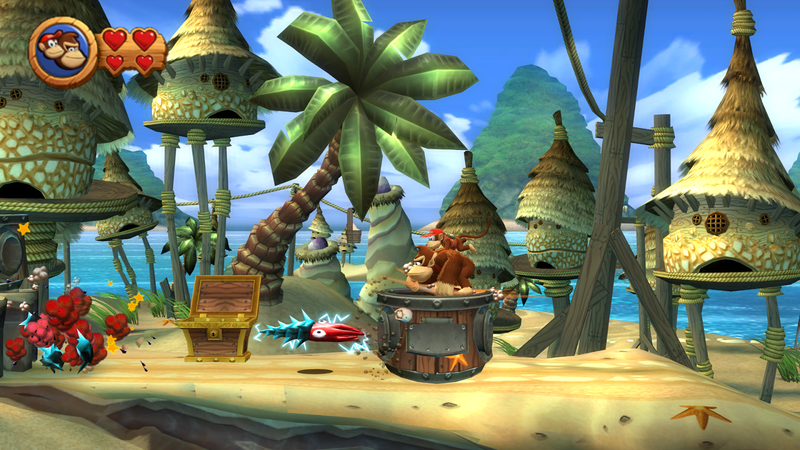 From the sounds of sloshing water in the ship levels to the lighting and visual effects used in the game, Diddy's Kong Quest delivers in its presentation. However, it's not wholly skin-deep where the beauty lies. The level design is masterful. The location of hidden bonus rooms and DK Coins is astonishing in how clever they are tucked away. Levels mechanics spring up, offering unique and fresh challenges on a consistent basis. 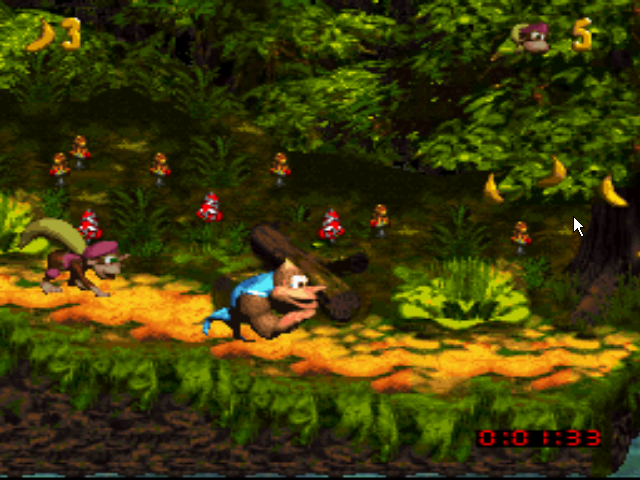 Donkey Kong Country 2: Diddy's Kong Quest may have been outdone in some regards by future games in the series, but as an overall package, there's little in the Donkey Kong Country line that can touted as better than Diddy and Dixie's adventure together. 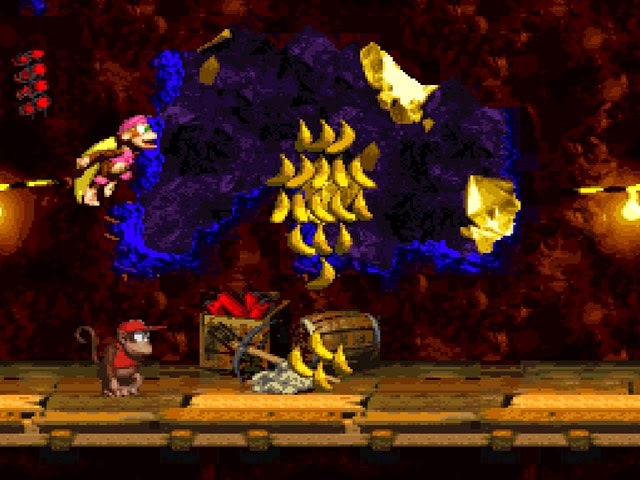 Donkey Kong Country Returns showed that not just Rareware can make a satisfying and awesome Donkey Kong Country game. Donkey Kong Country: Tropical Freeze showed that Retro Studios can make a game better than what Rareware offered. 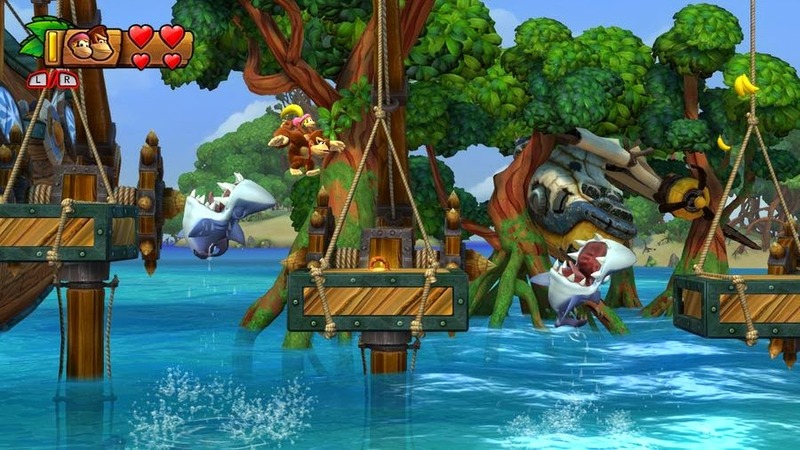 Tropical Freeze was the poster child for level design mastery. Hidden trinkets and bonus rooms were expertly placed, obstacles and enemies were set up in such a way that both regular romps through levels and speedruns were both possible, and each level brought something new to the table. The ability for Donkey Kong to team up with one of three other Kongs made for some fantastic gameplay, showing levels and their respective challenges could be completed in various ways. Additionally, things like swimming returned to the franchise, better than ever before; boss battles were improved and some of the series's best, and David Wise brought the musical goods, coming back to the franchise after such a long time away. Donkey Kong Country: Tropical Freeze isn't just the best Donkey Kong Country game-- it's one of the best 2D platformers ever devised. Have a different opinion on the proper order of the Donkey Kong Country series? Let me know with a comment below!